It was just at our fingertips before it officially slipped away. Not to say a dream match between Shawn Michaels and Daniel Bryan was ever going to happen, but the opportunity disappeared when Bryan had to end his career prematurely. It could have been the perfect “teacher versus student” storyline. Michaels could have played the heel who felt threatened about his labeling as the greatest wrestler in WWE history. Daniel Bryan? The man who Michaels had trained before he took the independent scene by storm? The storyline makes plenty of sense. But is that what the idea of a “dream match” is all about? Not really. 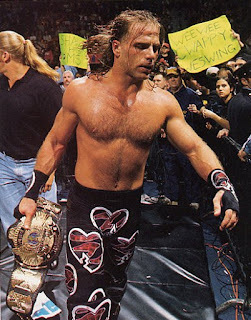 You want a dream match to take place at each competitor’s prime, not when someone like Shawn Michaels is knocking off years of ring rust (not to say he still wouldn’t be great). I’m not going to pretend I know anything about Daniel Bryan’s independent career because I don’t. I see everything through the eyes of the WWE. Naturally, yes, this means I don’t know as much as “the real wrestling fan,” but I also have a set of eyes! I’m well aware of his greatness, despite the fact I haven’t watched him half as long as the dedicated wrestling fan. While he took some time to catch on in the WWE, Bryan eventually grabbed the WWE Universe, threw it on his back, and said, “lets go for a ride"! The YES Movement will live on as one of the most memorable storylines in the history of the company. Personally, my favorite version of Daniel Bryan was the smarmy, slimy little heel, but in the dream scenario with Michaels, he most certainly plays the role of face. Disregarding my personal preference, the abrupt ending to Bryan’s saga cheats us of seeing one of the most beloved superstars we’ve ever seen. More importantly, it cheats Daniel Bryan from building a complete legacy. There’s no question, Shawn Michaels had a storied career. If you think about it, there are so many layers to the Michaels character, from his days as a fresh faced kid as a member of the Rockers to his run in the 2000s where he defied a career threatening back injury to deliver, arguably, the greatest match in WrestleMania, if not WWE, history with the Undertaker. He cost Brutus Beefcake a Barber Shop window, while turning to attire a biker would be proud of….. maybe? He lost his smile. He accomplished a boyhood dream. He ended his idol’s (Flair) career. He did something in Montreal (wink wink). You get the point… I could write his moments for days. For purposes of the dream match, we’re talking Daniel Bryan, in the midst of the YES movement versus Shawn Michaels during the first incarnation of DX. In this scenario, you have DX doing what they do best, bullying “little” Daniel as often as they could. 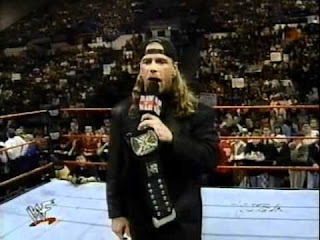 Technically, HHH has done this in recent memory, but as we know, DX pushed the envelope that much further in the Attitude Era. 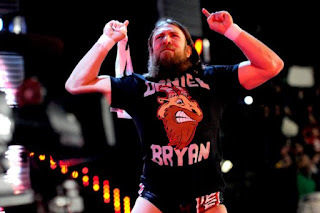 Does Daniel Bryan get his revenge before their match? Not really. A constant stream of bullying leads you to the match. Bryan is the underdog, a role he played superbly during his run toward WrestleMania 30. Michaels is as cocky as he could be heading into the match, until there’s a stipulation that causes the members of DX to the back or else Shawn forfeit’s the title. The stage is now set for the one-on-one match. A fast paced match with too many kicks to count, whether it’s roundhouse kicks to Michaels cheek or a third super kick (because one’s never good enough nowadays) to put Bryan down for the three count. Or maybe, the match ends with a missed Super Kick reversed into the YES lock….. Regardless, like we always say, keep on dreamin’!